Stay with us and get a gas card for summer travel. 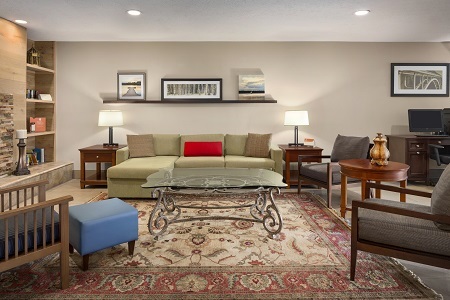 Enjoy shopping, then relax in comfort. 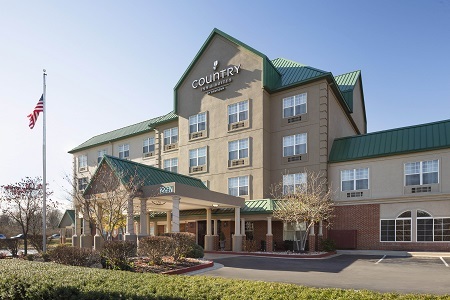 Conveniently located off I-75 and 11 miles from the Blue Grass Airport (LEX), the Country Inn & Suites® by Radisson, Lexington, KY is just five miles from the University of Kentucky and Rupp Arena, home of Wildcats basketball. You also won’t have to go far to see top equine attractions like the Kentucky Horse Park and the Thoroughbred Center. Please note that our pool is closed until January 6, 2019. We apologize for the inconvenience. For a romantic getaway, reserve our Whirlpool Suite with a king bed and a whirlpool for two. 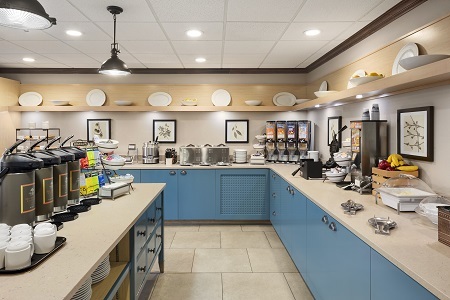 Pick up a free weekday newspaper, pour a cup of gourmet coffee, and help yourself to our complimentary, hot breakfast. You’ll find everything from Belgian waffles to fresh fruit. For lunch and dinner, meander over to the Smashing Tomato for a memorable pizza. Celebrating a special anniversary? Make reservations at Malone’s to enjoy a romantic atmosphere and juicy steaks. University of Kentucky – The state’s flagship institution draws students and Wildcats fans from across the country. We’re just five miles from the campus, so visitors are close to campus tours and athletic events. Rupp Arena – Located in Lexington’s historic West End 12 minutes from the Lexington, KY hotel, this arena is home to the University of Kentucky men’s basketball team, repeated national champions. Lexington Opera House – Drive a quick four miles to the region’s premier performing arts center, which is listed on the National Register of Historic Places. You will fall in love with the 19th-century ambiance as you enjoy a live show. Bringing a group of college kids to tour UK or a group of adults to watch races at Keeneland? 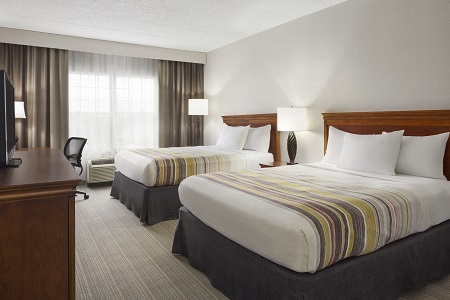 Call our hotel to set up room blocks and enjoy competitive rates.